Watertight Homes are based in Leeds West Yorkshire and offer a complete service for all your damp proofing requirements.Our damp proofing surveys are carried out by our skilled surveyors and technicians. High-density studded polyethylene sheets (HDPE) and Polypropolene (PP), which are impervious to water and are vapour proof are installed. When placed against a structure the studs form a permanent cavity between the structure and the internal shell. At Watertight Homes we offer the best solutions for your basement conversion. Including high quality waterproof tanking systems and installation. All our waterproofing & tanking systems are independently covered by insurance backed guarantees to give you complete peace of mind. Resolving condensation problems can be a tough task as it involves the temperature, humidity and ventilation of the property. Watertight Homes carry out all timber treatments to the structural timbers of properties that are infested with a wood-boring insect ie. woodworm or wet rot. The treatment is actioned by the spraying of insecticidal liquid onto the affected timbers. 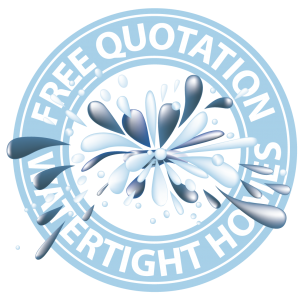 Watertight Homes Services come with our Watertight Guarantee. Our services are offered to all domestic and commercial premises from damp proofing through to commercial tanking in and around Yorkshire and Lancashire. If you are looking for a reliable company that delivers... then you've just found it.